I wouldn’t be telling the truth if I said that the tentative strumming of an oud or the brilliance of a qānūn chord instantly made me feel ‘at home’ or ‘at one’ with my Arab identity. Whilst my mixed British-Iraqi heritage does give me a natural aptitude for appreciating Arabic music, when I listen to its distinctive sound, with its unique system of melodic modes known in Arabic as maqam (pl. maqamat), I do not immediately turn to a distinct memory or association with a ‘place’ within my Arab heritage. I suppose this is just a symptom of being brought up in a mixture of diverse cultures. Growing up as a ‘third culture kid’ in an expatriate community in the UAE, as well as spending some of my childhood and later teen years living in my father’s hometown in the UK, was always going to provide a contrasting and conflicting sense of ‘home’. Then there is also my mother’s Iraqi heritage thrown in, to add a further spice to this already intriguing, if confusing, mixture. It might seem quite cliché, but the way I started to self-identify as an Arab mixed woman was through music. Since the age of five, I have been trained in the Western classical music tradition - and at this point I must offer an eternal apology to my poor parents and sisters for the ‘cat-slowly-being-strangled’ sound that used to come from my quarter-sized violin, during what should have been peaceful hours of the day. However, it was due to this immersion into the world of music from a very young age that has led me to pursuing this discipline to a higher level at university, which should hopefully result in myself gaining a Bachelor’s of Arts degree in music by the summer. It has only been natural, then, that I turn to music to embark on this quest of self-discovery. Especially as throughout my time at university, my academic interest has turned to the field of ethnomusicology - a discipline that looks at the social, cultural and political implications that comes as a result of the music created by certain groups of people. It is also a fact that the Arab world bears a wealth of musical tradition, as well as unmistakable cultural icons that came into existence as a result of their musical talent. Take Fairouz as an example. She’s embodied Lebanese national identity since her debut performance at the Baalbeck International Festival sixty years ago. She’s been immortalised as the “Jewel of Lebanon”, alongside many other celestial terms – even the title of this article takes direct inspiration from a Fairouz classic. “A’tini al-Nay wa ghanni” [Give me the flute and sing] is a song that takes the text from a poem, “al-Mawakibb” [The Procession] by Khalil Gibran - one of the Arab literary world’s most famous poets. Whilst the subtle nuances of Gibran’s skillfully crafted poetry are lost on my non-fluent ears, I can appreciate some semblance of the meaning through Fairouz’s tentative interpretation; in particular, the gentle, melancholic nature of her voice which highlights the maqamat inflections written in the melody constructed by the Rahbani brothers. 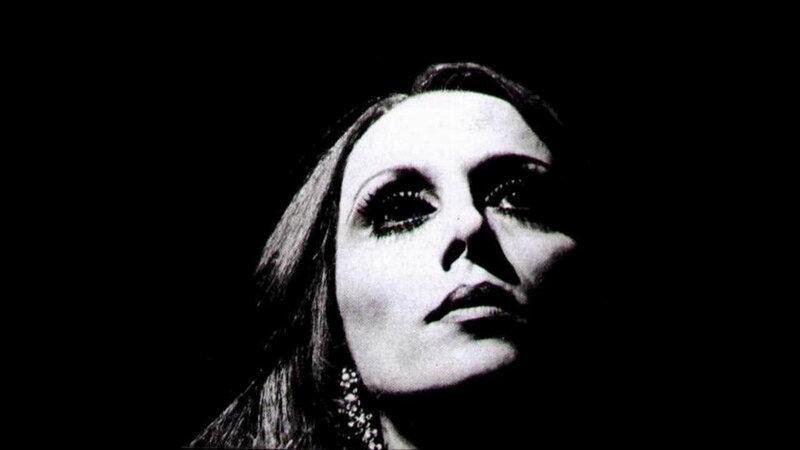 As an Arab mixed woman who has never grown up in a strictly Middle Eastern environment, who has always been exposed to cosmopolitan cultures and a diversity of music, why does Fairouz - a Lebanese national icon - appeal to me so strongly? Firstly, it is the fact that Fairouz represents something which I have never experienced, yet have always yearned for - a definite sense of ‘belonging’, of having a complete and utter representation of a country to self-identify with. Fairouz is the mouthpiece, is the ‘flute’ from this article’s title, which voices these sentiments of a place, a home with which to identify with. And secondly, to see a woman who shares part of my heritage, being revered and considered such an important figure to not only one country, but to the Arab world as a whole, undoubtedly fills me with respect and with pride. Zeena Beale is in her final year of studying Music at Homerton College, Cambridge University. She hopes to carry on her studies at Cambridge next year on the Music Studies MPhil programme, specialising in Ethnomusicology. Alongside her interest in academic music, Zeena is a keen violinist, clarinetist and occasional singer. You can follow her on twitter or read her articles here.